At the Seward County Community College music department’s holiday concert, set for Nov. 30, audience members can sample a wide variety of traditional and modern favorites. The program is a bit like a string of multicolored Christmas lights, said instrumental instructor Darin Workman. The rigor results from the mix of student musicians, said vocal music instructor Dr. Magda Silva. In the band portion of the concert, Workman promised holiday spirit that ranges from “March of the Toys,” written in John Philip Sousa style, to Mannheim Steamroller prices with guitar, bass and trap set. The SCCC Concert Choir will perform a hefty assortment of songs, with several solos. The concert date, originally set for a Friday, was changed in order to avoid conflict with the Live on Stage community concert, and Workman said he hopes to see a large crowd on Thursday night. “We want to support the arts in the community, which is part of being a community college,” he said. 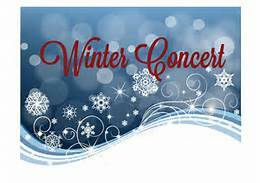 The SCCC Winter Concert will be at 7 p.m. Nov. 30, in the Showcase Theater in the Shank Humanities Building on campus. Admission is $3, with ticket proceeds going to the SCCC Music Endowment Fund. To purchase a ticket in advance, contact the Humanities Office at 620-417-1451.